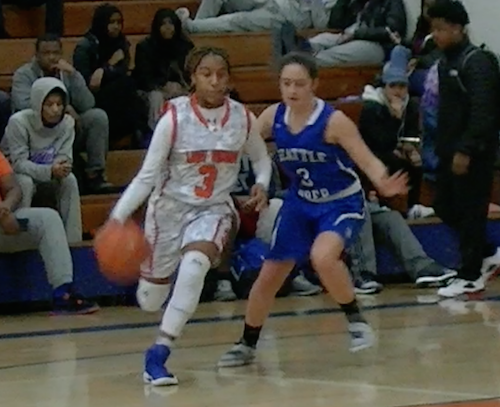 In the final week before holiday break, the Garfield Bulldogs and Seattle Prep Panthers squared off for a Capitol Hill showdown. 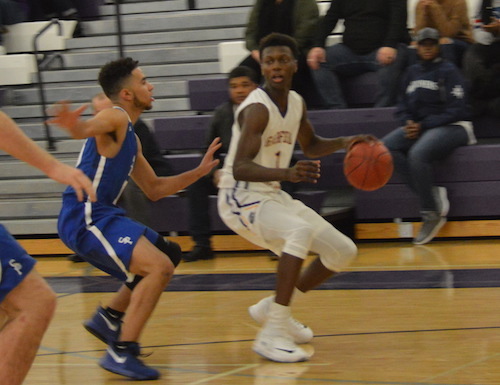 The guard-strong Bulldogs and post-laden Panthers showcased their strengths early as Jaylen Nowell scored 15 of his game-high 25 in the first half while Nic Lynch anchored Prep with 11 in the first two quarters. 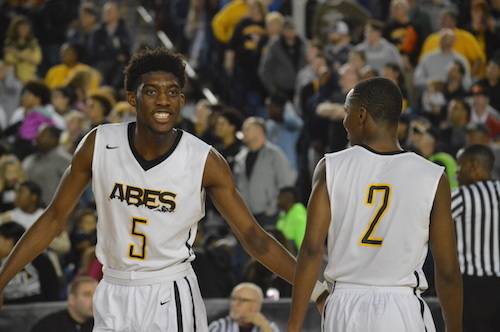 The double digit lead accrued in the first half by Garfield continued to grow in the third quarter highighted by a flurry of steals leading to dunks including an alley-oop slam by J’Raan Brooks who scored 19 for the Bulldogs. 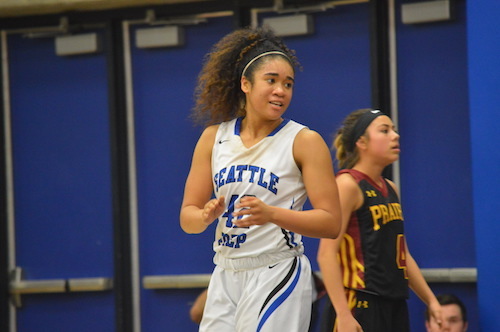 Kalu Stricklin continued to battle for Seattle Prep even with the game out of hand recording 15 tough points in the second half. 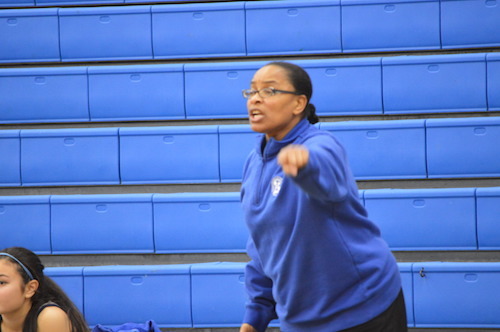 When the clock hit triple zeros, Garfield picked up their fourth win to continue a perfect start to the season handing Seattle Prep their first loss of the season. 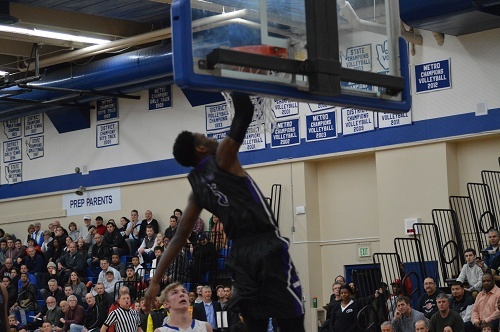 Garfield 90, Seattle Prep 63. 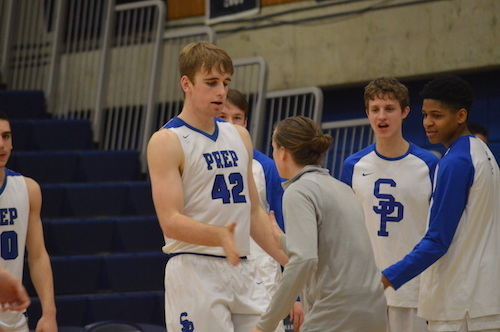 The second boys elimination game in the SeaKing playoff bracket pitted Seattle Prep from the Metro League against KingCo’s Mercer Island. 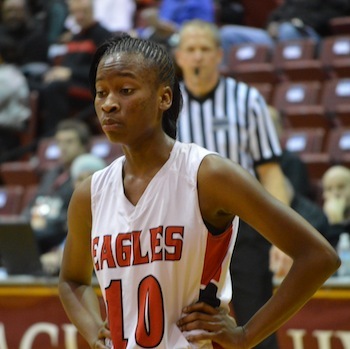 The low-scoring, defensive affair presented itself early and continued throughout the ballgame. The battle in the block between Prep’s Nic Lynch and MI’s Andrew Pickles took center stage in the first half as the posts traded buckets. 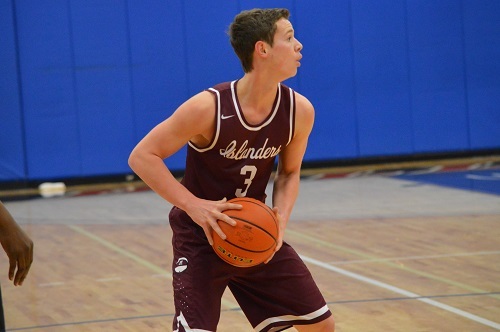 The Islanders leading scorer Sam Nordale was a big factor on both sides of the floor as Prep had difficulty contending with the senior’s athleticism. 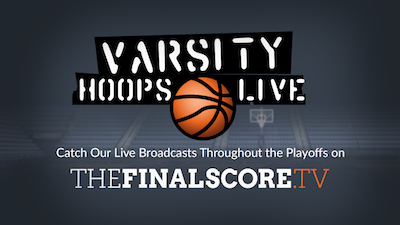 At the break, Mercer Island led by one possession 20-17. Mercer Island 44, Seattle Prep 39. Seattle Prep held two leads in this game, 15-14 in the middle of the second quarter and when it mattered the most, when the clock struck 0:00. 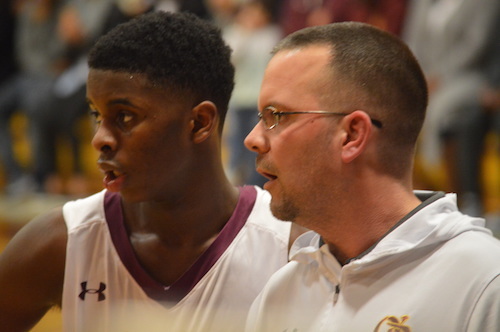 O’Dea led at every other moment of the game, but couldn’t close it out in their rival’s gym. The Irish controlled the pace of play from the beginning of the contest. They were more physical, gathered more rebounds, and scored with ease in the interior. The Irish led 11-8 after the first quarter, and 22-19 at the half. O’Dea senior big Jacob Lampkin carried the Irish in the first half with 11 of his 13 coming prior to third quarter. But only two points after the break, and a Panther defense focused on keeping him out of the game really turned the tide for Prep. 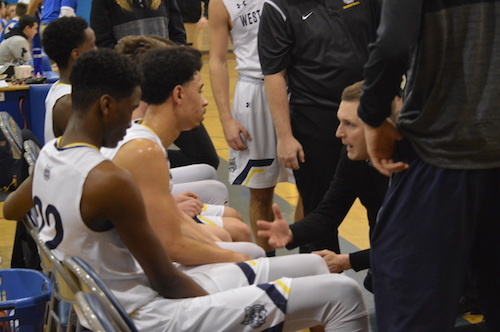 The Panthers were having a tough time knocking down the three ball in the first three quarters, but senior guard Marc Caindec and freshman guard Aaron Nettles were not deterred, they kept firing. 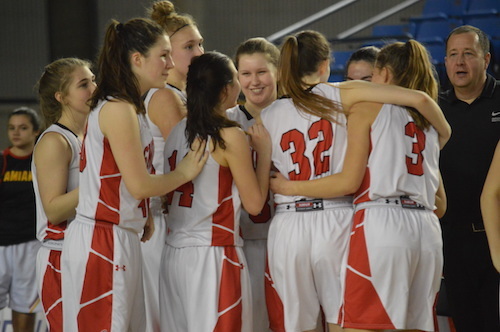 The most critical was Nettles’ three to put the Panthers up two, 47-45 with just under a minute to play. The Panthers then forced an Irish turnover, and junior Jack Stewart knocked down two free-throws to close out the contest 49-45. 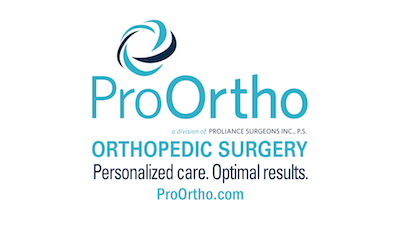 A great way to tip off the basketball season is a rivalry game. That is what showcased on Tuesday night, as the Seattle Prep Panthers made the three mile trip to Bishop Blanchet to battle the Braves. These teams have shared some amazing games in the past, but this one did not live up to any hype. Blanchet held the lead after the first quarter on the back of Matt Welch, who scored 13 of his teams 15 first quarter points. Amazingly enough, he actually totaled 28 of his teams first 30 points in the contest. 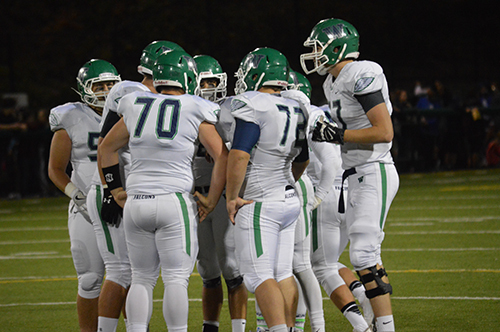 Unfortunately, Blanchet didn’t break the thirty point barrier until midway through the fourth quarter. 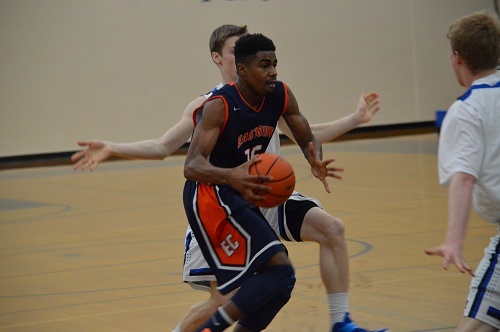 On the back of 16 points from 6’6″ junior Jordan Kitchen and 14 points from 6’7″ sophomore Sean Gummersall, the Panthers dominated the final three quarters, outscoring their rivals 59-21 to close out the game. 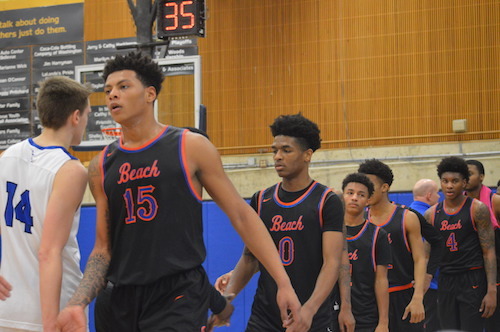 Aside from Welch’s 28 points, no one on Blanchet scored more than two, and the Panthers completely controlled the paint and the three point arc throughout. 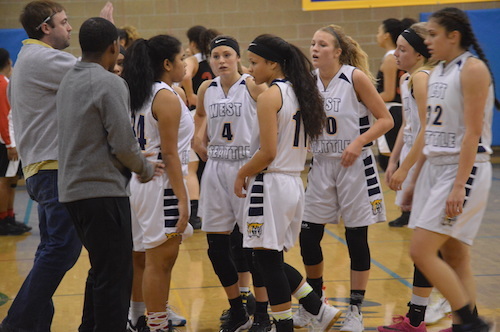 In speaking with Coach Mike Kelly at the end of the contest, he is excited about the competition this year in the always dominate Metro league. Metro 3A has taken the state crown in 10 of the last 12 seasons. 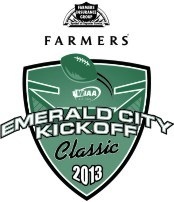 The first game of the Emerald City Kickoff Classic hosted the Seattle Prep Panthers and the Roosevelt Roughriders, a 3A-4A matchup. Neither team was able to exert themselves offensively in the first quarter, with neither team attempting a single pass. Roosevelt, in strictly the Wing-T, was able to move the ball relatively well in the second quarter, but was unable to crack inside the Panther 25 until 6:10 remaining in the second. An inside handoff to Roughrider running back Bereket Anshebo turned into a touchdown after a few nifty moves and a broken tackle, to take the lead 7-0. 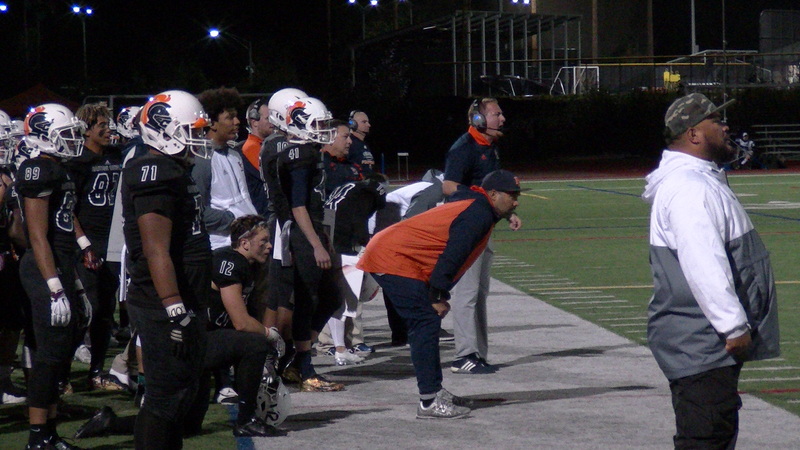 A blocked punt by Roosevelt with 3:02 left in the second gave the Roughriders the ball on the Seattle Prep 1 yard line, but two penalties pushed them back to the 18. Roosevelt had to settle for a field goal attempt that was missed right, a huge break for the Panthers, who were down just 7-0 at the half. The second half spelled equal trouble for the Panthers offense, which couldn’t break through the Roughrider defense to put any points on the board. Roosevelt pitched a full game shutout to send the Panthers to 1-1 in their history at the Kickoff Classic. 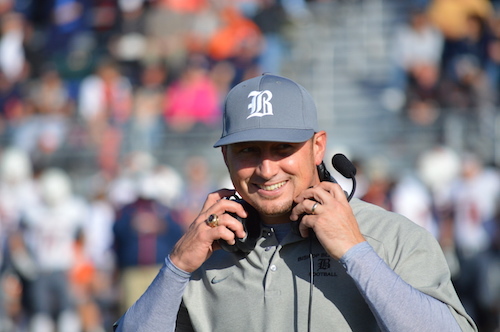 Coach Nelson for the Roughriders mentioned after the game that Prep came out with a different offense than they had initially expected, but credited his players for making the adjustment and shutting out the Panthers, 7-0. Kicking off the Emerald City Kickoff Classic will be a battle between the 3A Seattle Prep Panthers and the 4A Roosevelt Roughriders. 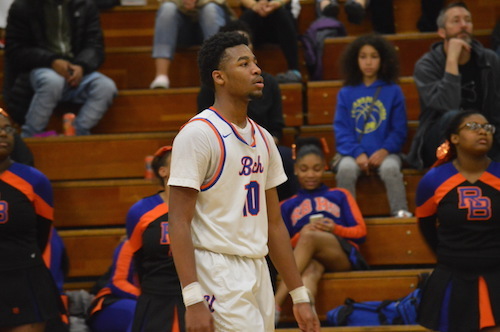 Roosevelt is coming off a great 2012 season, making the state tournament in 4A and losing in the second round to the eventual champion, another team playing in the classic, the Skyline Spartans. 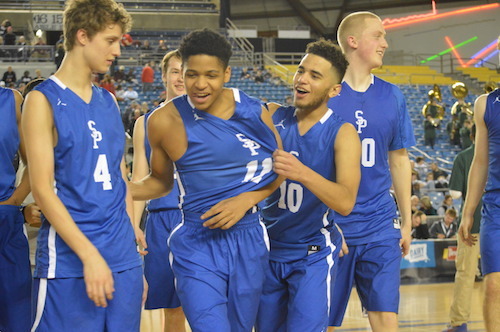 Seattle Prep will face a tough match against a Roughrider team prepared to make another run to the state tournament in 2013. This game will be the second official game in newly renovated Husky Stadium following the Husky opener last Saturday, Aug 31st, in the Dawg’s rout over Boise State. 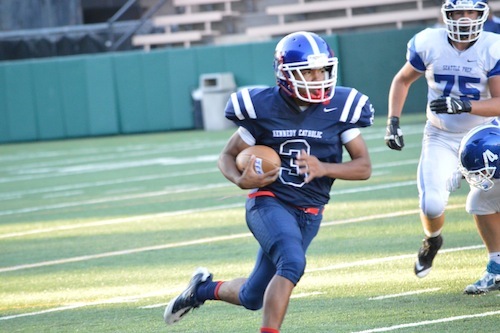 The Seattle Prep – Roosevelt game will kick off at 10am, Saturday Sept 7th. Tickets are $15 at the door and $10 for seniors and students. Good luck to both teams!